After watching the last episode of Great British Bake Off 2015, I was quite sad that I won’t have any more fabulous bakes to look forward to each week to inspire and challenge myself. Nevertheless, Taste100 is challenging bloggers to create hen-inspired cakes to be judged by ex-Bake Off contestant, Chetna Makan! As the more creative the bake is, the better chance of winning a Mason Cash Bakers Set, along with a Cath Kidston set of containers and apron. So thinking outside the box – since Halloween is coming, I decided to mix both hen and ghost spirits together. 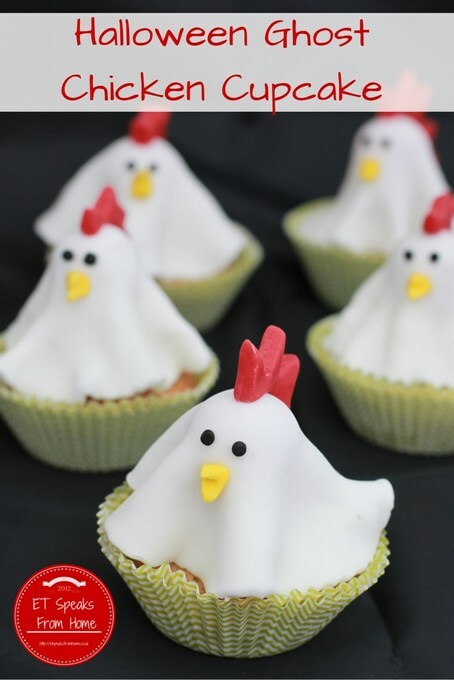 I bring to you this Halloween Ghost Chicken Cupcake! Since I had tried to bake coffee cupcakes, I decided I needed to try to bake tea cupcakes next! I am a big fan of green tea. It is very light and fragrant. The best way to achieve a tasty green tea cake is to use the green tea powder rather than brew from the tea leaves. However, I did find it hard to get the green tea powder from our area, but I do know that they can be found easily in London or Chinatown. Anyway, I have a box of green tea bags, so I decided to use them. I didn’t want to put the leaves into the cake as my children probably won’t like it hence the flavour and colour are not a very strong shade of green. Horrid Henry’s Ghost is the eighth Horrid Henry Factbook and is written by Francesca Simon and illustrated by Tony Ross. It was released on 4 September 2014 and published by Orion Books. The Chinese Hungry Ghost Festival is also known as Zhong Yuan Jie. In Chinese culture (especially Asian countries), the Chinese Lunar seventh month calendar is regarded as the Ghost Month in which ghosts and spirits, including those of the deceased ancestors, release from the lower realm (Buddhist- the wheel of Samsara) for the whole month. During this month, there will be a grand scale of praying and celebration which will have Getai (singing in Hokkien or Teochew) and dinner with bidding for lucky things on such a night. Qing Ming festival is a day where you pay respects at your departed loved one’s grave. The day varies each year as it goes according to the Chinese lunar calendar. This year it falls on the 5 April 2014. However, it is an acceptable tradition for the families to pray to their ancestors 10 days before and 10 days after the actual day. This is to avoid major congestions at the cemeteries and temples. As many countries like Singapore are densely populated and short of land, most of the deceased are cremated. If you would like to know how this festival originated, check out Chinese Culture for more details. Now I like to share with you some photos of how it looks. Besides offering the traditional types of gold ingots and money, there are now offerings that include high tech gadgets to allow the afterlife to “catch up” with trends! My granddad passed away in 1989 on Chinese New Year day. So on every Chinese New Year day, besides the celebrations, we will also offer joss sticks. These photos were taken a couple years ago before the 25 years lease is up. Now my family has moved and cremated my granddad and placed his remains along with my grandma who passed away on 24 March 2013. Last February, my mum and sister both flew to the UK to visit us. While they were here, we all went on a road trip to Scotland. 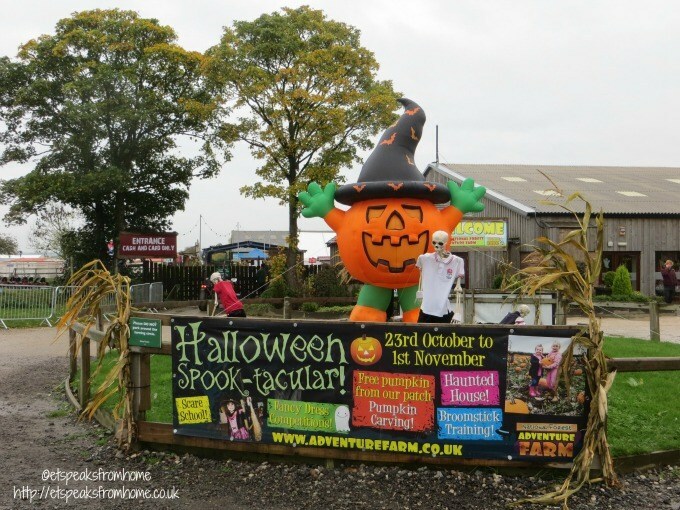 You can read more about our Scotland trip with Barny here. We stayed at Premier Inn throughout our holiday at various locations. The last location was Edinburgh, where we happened to have opposite rooms to my sister. I noticed that my sister went through her hotel routine. She knocked on the door and said we are just sharing the room with you for two nights, thank you. This triggered memories for me when I was younger I was told that I must do this hotel routine and I had forgotten! Okay, not really. I never knock the door but each time I go into the hotel room, I will inform ‘them’ quietly that we will be sharing ‘their’ room. 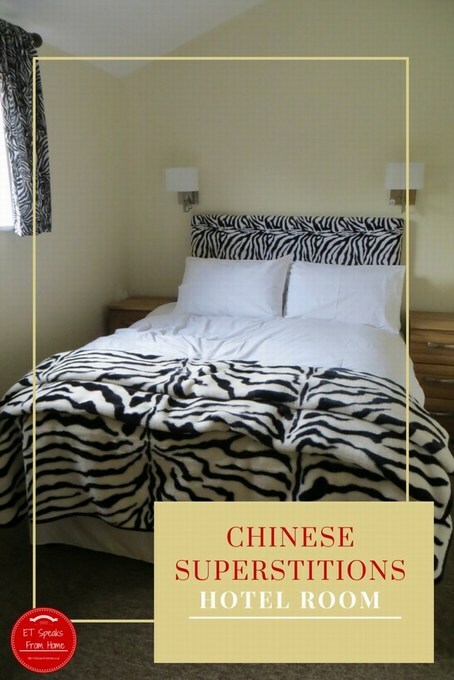 Mr C does not believe in these Chinese superstitions thing! He thinks I am totally crazy to do this! I had two separate unpleasant ghost experiences while staying in a hotel with him while we were in Italy and Japan. So he was used to me doing such crazy things while in a hotel room. I don’t practise these superstitions as much as I used to be because both of my children had started questioning my bizarre behaviour.